1. Every child is unique, with unique talents, interests and abilities, and grows in his or her own way, and in his or her own time and sequence. Each child’s individual developmental path must be nurtured and respected. 2. Children of all ages and cultures can learn from and teach one another. Each child has the right to be respected for his or her own unique experience of life. 3. A child learns in partnership with his or her family. A child’s family is his first and greatest teacher. 4. Children learn alone, and with the help of others. Children learn most effectively when they teach and learn from one another in an environment that is interesting and inspiring to them. 5. The best teacher listens to, and learns from, the student. Children learn respect for others by experiencing the sincere respect of their teachers. 6. All aspects of a child are important; the mind, the heart, the body and the soul. Every child needs to develop an ability to deal effectively with the world around them, to appreciate beauty, to experience physical, mental and emotional well-being, and to find peace. 7. Children first learn through their senses, and by discovering how the world works with their hands. These early experiences and skills lead to a later understanding of ideas. 8. A wide array of materials, media, and activities in the learning environment offers children of different ages and interests the chance to learn useful skills and information they can use and understand. 9. Children need time and attention to explore how things are connected, to work out problems, and to create new solutions. 10. Positive limits and models teach children respect for themselves and others, for their environment, and for life itself. 11. Reading skills are the gateway to all human knowledge; to practical skills, to social and cultural wisdom, and to an understanding of our living and material environment. For every child, reading is a critical building block in achieving success and well-being. 12. These basic principles are also true for children who have grown into adolescents and adults. The following is a summary of key provisions of the Library’s policies and procedures. The full document with all policy and procedure provisions is available for public review at the front desk of the Library. The library will serve all residents and visitors of the community and surrounding region. Service will not be denied or abridged because of religious, racial, social, economic, or political status; or because of mental, emotional, or physical condition; age; or sexual orientation. 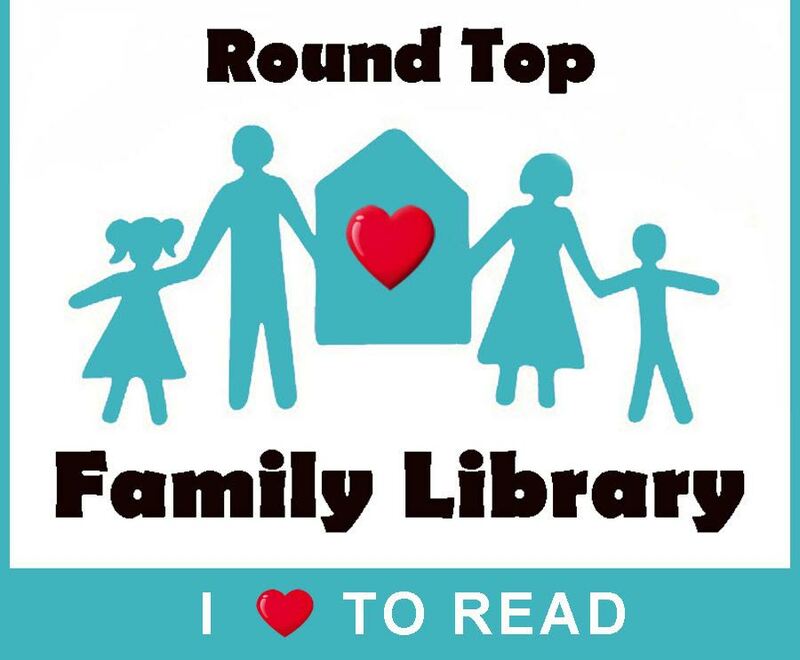 The Round Top Family Library encourages visits by young children and it is our desire to make this important visit both memorable and enjoyable for the child. Library staff is not expected to assume responsibility for the care of unsupervised children in the library. Therefore, it is library policy that all children must be accompanied by a parent or designated responsible person while in the library. Also, if the young child is attending a library program, we require the parent/responsible person to remain in the library throughout the program unless permission is granted otherwise by staff in charge. Alcohol is not to be stored on Library property, except in advance of, and shortly thereafter, events as described above. Patrons, Library staff, board members or volunteers who appear to be intoxicated may be asked to leave the Library premises. Library staff, board members or volunteers found to be consuming alcohol outside of approved events will be asked to leave the premises and may be subject to follow-up disciplinary action by the Library Executive Committee. Illegal drugs are not to be brought on Library property at any time. Patrons who are in possession of illegal drugs or who appear to be under the influence of drugs may be asked to leave the premises. Library staff, board members or volunteers found to be in possession of illegal drugs will be asked to leave the premises and may be subject to follow-up disciplinary action by the Library Executive Committee or law enforcement. Library staff, board members or volunteers using prescription drugs under a doctor’s supervision are expected to utilize judgement and ensure they do not come on to Library property if their behavior or demeanor are impaired to a level that puts patrons, staff or volunteers at risk or discomfort. The Board of the Round Top Family Library prohibits the carrying of weapons openly in the library. If a parent or guardian drops a child off for a scheduled program and the Library accepts responsibility for the child being here, we will not let the child leave the Library unaccompanied to return home or to meet their parents. The parent will be requested to return and pick up the child. If the parent does not arrive, a Library staff member will ensure a safe return of the child. If a parent or guardian leaves a child unaccompanied at the library or on the library grounds, and there is no scheduled program, the Library cannot accept responsibility for the child or for their return home. Children of all ages are encouraged to use the library for homework, recreational reading, and program attendance. The library staff realizes that the library will be noisier at busy times and that children by nature can cause more commotion. However, children (whether with parents or not) who are being continually disruptive will be given a warning that he/she must settle down or will be asked to leave the library. If after a second warning, the child continues to be disruptive, he/she will be asked to leave the library. If the child needs to contact a parent, they may do so and then wait with a staff person until the parent arrives. Patrons who break the library rules and have been dealt with according to proper library procedures or who participate in illegal behavior may have their library privileges suspended. Patrons who have had the Library privileges suspended may not have access to the Library facility, property or services. Notice of suspension where the patron’s name and address are known will be issued by mail from the Library Director. The notice will specify the reason, the length of the suspension and the appeal process. One copy of the notice will be kept on file, another sent to the police. Staff will be informed of the suspension. All appeals to suspension must be directed in writing to the Library Board. The Board will reply in writing. All decisions of the Board are final. The patron will be notified by mail regarding reinstatement of Library privileges. Staff will be informed. All borrowers must be registered and must have a valid patron card to borrow library materials. Registration is free and open to all ages and residency is not required. Patrons must fill out an application form to register for a new library card. Applicants under l3 years of age must have a parent or guardian give their consent on the application form before a new card can be issued. This parental signature is not required for children who are renewing cards. If a patron loses his/her library card, he should notify the library and request a replacement. A donation to replace the lost card would be appreciated. 2 weeks for books, cassettes, DVDs, audio books, and compact discs. Generally, reference books do not circulate. Interlibrary loans are due the date indicated by the lending library and the Round Top Family library. The director may establish the loan period for special collections, materials which are temporarily in high demand, such as for student projects, or materials added to the collection which are in a new format, i.e., computer software. A patron can borrow a maximum of six total items at one time. Reserves may be placed by patrons either in person or over the phone. Patrons will be notified by email or telephone when the materials are available. There is no charge to the patron for placing a reserve or for interlibrary loan services. There is a $.10/day fine for overdue materials with a maximum of $10. A first notice is sent via email at 30 days overdue. A second notice via mail is sent at 60 days, followed by a third notice via mail at 90 days, if needed. After the 90 days’ notice, patrons shall be denied borrowing privileges until those overdue materials are returned or paid for if lost and/or damaged. If materials are damaged so as to be judged by the library as being unsuitable for the collection, the patron must pay the replacement cost. Depending on the rent value, the Director will determine whether patrons are required to pay for replacing the item, with the Board of Directors help if needed. Records of any library, which is in whole or in part supported by public funds, indicating the identity of any individual who borrows or uses the services of the RTFL, may not be disclosed except by court order or to persons acting within the scope of their duties in the administration of the library. The Round Top Family Library adheres strictly to the protection of the confidentiality of its users. Programming includes such activities as story times, fine arts for all ages, films and activities on no-school days, summer library program for children, community speakers, health related activities, and book or author discussion groups for adults. This is an unsupervised playground. Parents/guardians are responsible for the supervision and well-being of your own children. The Round Top Family Library and the Town of Round Top are not responsible for their safety. Please care for your own young people. The Round Top Family Library’s written Code of Conduct policy applies to this playground. Children or adults who fail to observe that policy may be asked to leave the grounds. Older children must take special care with younger children. No running, throwing, or rough play. No climbing of trees or hanging from tree limbs. The large old oak trees near the Rummel Haus are especially precious. Children should not walk on the roots or climb the trunks. No walking in the flower beds. No wading in the water fountain or climbing on the large rocks surrounding the fountain. Playground is closed when wet. Children or adults who commit vandalism; repeatedly use language that is inappropriate for minors, or repeatedly fail to play constructively or risk the well- being of, or hurt others, may lose all playground privileges. Obey direct requests of Round Top Family Library staff or trustees. Basic party held at playground area. Kids need to stay in that area. Plastic chairs or table from library activity building may be used and returned where found at end of party. Hosts are responsible for trash. Use of computers and library materials by party attendees are off limits while party is in session. Restroom and water available as needed in library with adult supervision. Follow rules on sign at playground area. Computers are available to patrons on a first-come, first-served basis. Instructions for operating hardware are displayed near the computer. There is no charge for use of the computer; staff is available for general assistance in using the computer. However, the staff is not expected to train patrons in the use of application programs. Tutorial manuals will be provided when available. A printer is available. Printer paper will cost $0.25 per sheet and must be paid for at the conclusion of the session. A photocopy machine is available to patrons who wish to copy materials at the rate of $0.25 per page. A fax machine is available for public use with the help of a staff member. There is no set charge for sending a fax, but a donation is appreciated. 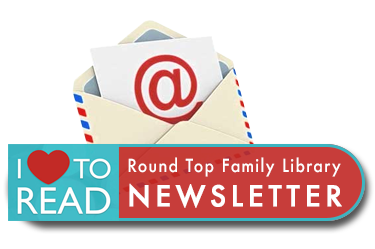 The Round Top Family Library is providing access to the internet as a means to enhance the information and learning opportunities for the citizens and visitors of the library’s service area. The Library Board has established the Internet Use Policy to ensure appropriate and effective use of this resource. Access to the internet is available to all patrons and guests; however, this service may be restricted at any time for use not consistent with the guidelines. Parents of minor children must assume responsibility for their children’s use of the library’s internet service; prior to being granted access to the internet, anyone under 18 years of age, along with a parent or guardian, must sign the Internet Use Agreement. All users must sign the log-in chart and check out a computer prior to beginning their session. Users should be aware that the inappropriate use of electronic information resources can be a violation of local, state, and federal laws and can lead to prosecution. The user will be held responsible for his/her actions using the Internet. Users are expected to abide by the policies below which include generally accepted rules of network etiquette. Unacceptable uses of the service will result in the suspension or revocation of internet use privileges. The internet is a decentralized, unmediated global network; the Round Top Family Library has no control over the content found there. The library will not censor access to material nor protect users from offensive information, and it is not responsible for the availability and accuracy of information found on the internet. Staff members are authorized to terminate any user’s access session, or to prohibit a user from subsequent access sessions according to the terms of the Round Top Library Code of Conduct, given cause to believe that the user has failed to comply with the internet Acceptable Use Policy and/or Rules. Internet users whose access session has been terminated or will be given information concerning the process to protest the action and/or request that internet access privileges be reinstated. U.S. Copyright law (Title 17, U.S. Code) prohibits the unauthorized reproduction or distribution of copyrighted materials, except as permitted by the principles of “fair use.” Users may not copy or distribute electronic materials (including electronic mail, text, images, programs or data) without the explicit permission of the copyright holder. Any responsibility for any consequences of copyrighted infringement lies with the user, the Round Top Family Library Association expressly disclaims any liability or responsibility resulting from such use. The Round Top Family Library allows for personal computer equipment to access the internet via a wireless network throughout the entire building and property. Persons utilizing the wireless connection agree to comply with all provisions of the current Round Top Family Library internet policy which is incorporated by reference herein. The Library’s wireless connection is unencrypted and unfiltered. Use of the wireless connection is done at the patron’s own risk. By using this connection, patrons acknowledge that security efforts and hacking are an inherent risk associated with any wireless service. For that reason, patrons expressly agree that they knowingly assume such risk, and further agree to hold the Library harmless from any claim or loss arising out of, or related to, any such instance of hacking or other unauthorized use or access into the patron’s computer. The Library accepts no responsibility for any software downloaded and/or installed, email opened, or sites accessed while patrons are on the wireless internet connection. Any damage done to the patron’s equipment or self from viruses, identity theft, spyware, plug-ins, or other internet-borne programs is the sole responsibility of the patron, and the patron indemnifies and holds harmless the Library from any such damage. The Library accepts no responsibility regarding the ability of patron-owned equipment to connect to the wireless network. Library staff will not change settings on patron equipment. Interlibrary loan material is material that a patron has requested and Round Top Family Library does not own. It is borrowed from another library through the State Library. To request material through ILL, fill out a request slip, with as much correct information on it as you can and it will be processed. The due date will be noted by the lending library and our library. It will arrive at Round Top Family Library with an Interlibrary Loan Slip in it. Do not change due dates on ILL material. A temporary card with barcode will be used. Interlibrary Loan materials may not be requested more than once by a patron. Only materials which are not owned by the Round Top Family Library may be borrowed via Interlibrary Loan. We cannot borrow books that we own which are in use at the time of the request. Audio-visual materials, reference books, rare books and books less than one year old cannot be borrowed via Interlibrary Loan in accordance with national Interlibrary Loan standards. Due to the nature of public library collections, librarians cannot undertake original research through Interlibrary Loan. We cannot support college courses by providing required reading materials. Specific reading lists or specialized subject materials for college research should be requested through the appropriate university library. We will make every effort to have books by a date specified on the request form. However, we can make no guarantees. Every effort will be made to fill a patron’s request from the Round Top Family Library collection before Interlibrary Loaning materials. Round Top Family Library will borrow up to three items per month per patron. A donation is appreciated for postage and staff cost. Interlibrary loan service is a privilege. Patrons who abuse this privilege by failing to return books on time or by failing to pick up Interlibrary Loan books may have their Interlibrary Loan privileges suspended. Library Operation is done by staff or adult volunteers. The age at which volunteers can begin helping is 16 years of age. All staff and volunteers (including Board members) will be subject to a background check prior to serving at the Library. Any potential staff or volunteer whose background check reveals a felony conviction will not be permitted to volunteer in activities where children are present. Any misdemeanor convictions revealed in a background check will be reviewed on a case by case basis to determine if limitations on their activity are appropriate. Be courteous at all times. Think before you speak. Avoid arguing. Be helpful. Listen carefully to concerns from library users. As well as stating a policy or procedure, explain the reason for it. If you do not know the answer to a question, find someone who does or take the person’s name, address, and telephone number and advise the person that someone will contact them. Be understanding. Put yourself in the other person’s shoes’. Be discreet. Guard the confidentiality of a user’s private affairs. Be reliable, be on the job and be punctual. Do a full day’s work; carry your share of the work load. Work cooperatively with your fellow employees. Be courteous and considerate. Be businesslike: get things done, be alert, avoid malingering or procrastinating, avoid conducting personal business. Be organized. Plan your work and your time. Think before you act. Know the workings of your department and find out what goes on in other departments. Keep informed on Library activities and planning. Be neat in appearance. Keep your work area and/or desk tidy. Always try to do the best job that you can do. Know, understand and comply with the rules and regulations, requirements and procedures of the Occupational Health and Safety Act, the Worker’s Compensation and other legislation as appropriate. Be thoroughly familiar with and comply with departmental and occupational rules, policies, regulations, standards, practices and procedures. Work at all times in a safe and careful manner and take every reasonable precaution to protect the health and safety of yourself, all workers and the public. Notify your supervisor promptly of any unsafe condition, practice or equipment and any violation of safety legislation. Immediately report all accidents and injuries to your supervisor. Secure medical attention as soon as possible after a work-related accident that results in time lost from work or if requested by the employer. Staff is expected to intervene on behalf of children in difficult situations. Particular care must be taken to ensure a supportive environment for the child. In all cases of intervention staff will complete an Incident Report Form. Staff will not, under any circumstances, drive a child home. Staff will attempt to contact the parent(s)/guardian(s) of abandoned children left unattended in or about the Library premises. The Children’s Aid will be notified if the parent(s)/guardian(s) cannot be reached. Staff will immediately inform proper authorities, according to applicable law, of any case of suspected child abuse. After doing so, a confidential Incident Report Form shall be immediately submitted to the Library Director describing in detail the nature of those concerns. Only department heads or designated members of the Board of Directors are authorized to comment on behalf of the Library to the media, on policy matters of the library, or other controversial issues. Employees involved in litigation or engaged in special project activities functioning outside the Library should follow the guidelines for contact with the media as in the preceding paragraph. A conflict of interest arises when an employee’s personal interests conflict with her/his duties and responsibilities as an employee of the Library. A conflict of interest can exist whether or not direct or indirect financial advantage has been conferred on an employee. If there is a perception of a conflict, discuss appropriate action with your supervisor. Solicit, accept or condone the solicitation or acceptance of any gift, favor or form of entertainment and/or hospitality from any person or corporation having dealings with the Library that may result in undue benefit. Engaging in business transactions or having financial, or other personal interests which are inconsistent with the impartial discharge of their duties. Extend preferential treatment to any person, relatives, friends, organizations, or groups in which they have or their relatives have a pecuniary interest. Gain personal benefit, or permit others to benefit, from the access to information acquired in their official capacity which is not generally available to the public through ordinary and proper channels. It is the policy of the Round Top Family Library to seek partnership with, to promote to the degree appropriate and to avoid duplicating services with, all worthwhile non-profit and civic organizations in the Library’s service area. This would include school districts, non-profit fine arts and educational organizations, non-profit historical organizations and any other civic or not for profit organization that is deemed by the Round Top Family Library Association Board of Directors to be serving the interests of the public. Staff members shall make every reasonable attempt to maintain and represent this policy. 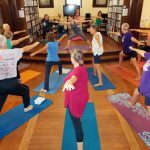 It is the goal and policy of the Round Top Family Library to “build bridges” between such organizations and institutions. Divisive or directly competitive behavior by staff members towards such groups is not acceptable. As an educational and cultural institution, the Round Top Family Library welcomes exhibits and displays of interest, information and enlightenment to the community. Displays of handiwork, historical material, nature study, or any other material deemed of general interest may be exhibited. The director shall accept or reject material offered for display based on its suitability and availability. Gifts to the library will be encouraged with the understanding that only materials which will be useful in the collection can be accepted. Used library materials will be accepted to be used in the library collection or book sale with proceeds to benefit the Round Top Family Library. All gift materials must meet the same standards applied in the selection and acquisition of new materials. Gifts of money, stock or real property can be accepted only if the conditions attached thereto are acceptable to the Library Board of Directors. Monetary gifts over a period of time from an individual will make them Founder. Special books or other acceptable library materials given to a particular library may be housed there if the donors so desire. It is to be understood that such items may be used temporarily by other libraries within the system. Materials left unclaimed in the library for more than 30 days shall be considered gifts. Gifts of art will be accepted at the discretion of the Library Board of Directors. The Library Board of Trustees shall decide the purpose for which undesignated memorial funds are to be used, giving due consideration to the wishes of the family concerned. The Library Director and Board of Directors are responsible for the administration of the Gifts and Memorials Policy. Staff in charge will be in contact with local officials. Decision will be made accordingly. Use the basement in the Activity Building depending on weather conditions. The preceding statements of Round Top Family Library’s policies shall be subject to review and needed revision at least every five years by the Library Board. Individual policies will be reviewed or added as needed.